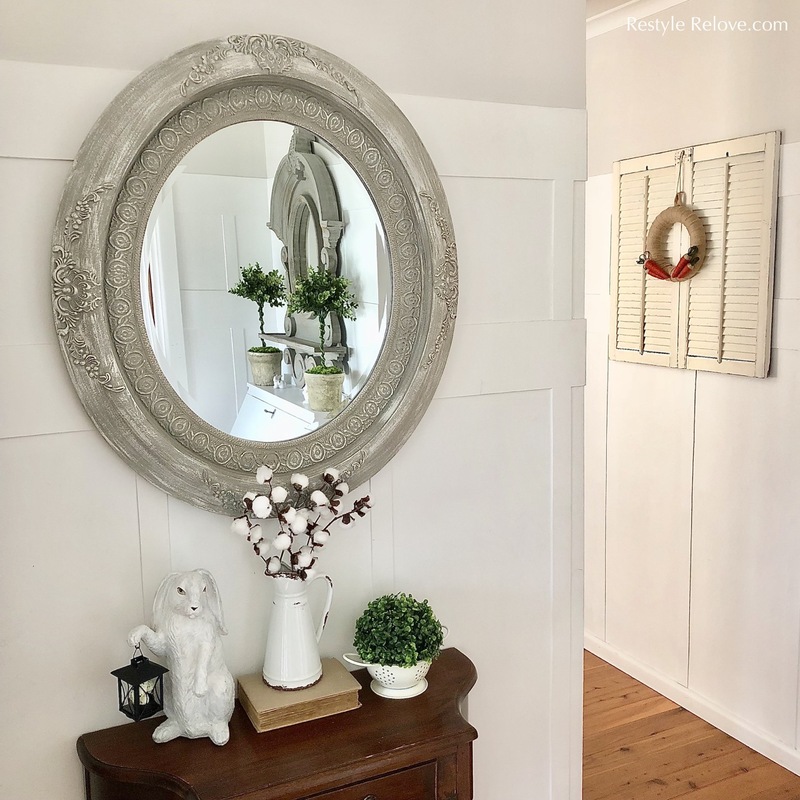 Today I'm sharing a new mirror I purchased from Early Settler for the entryway. 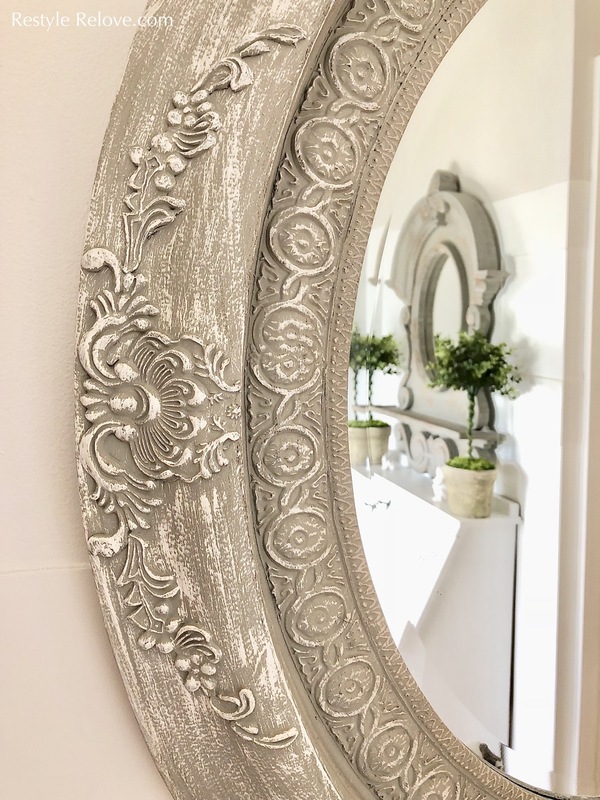 Its called the Ivy Mirror and its a beautiful light grey colour. 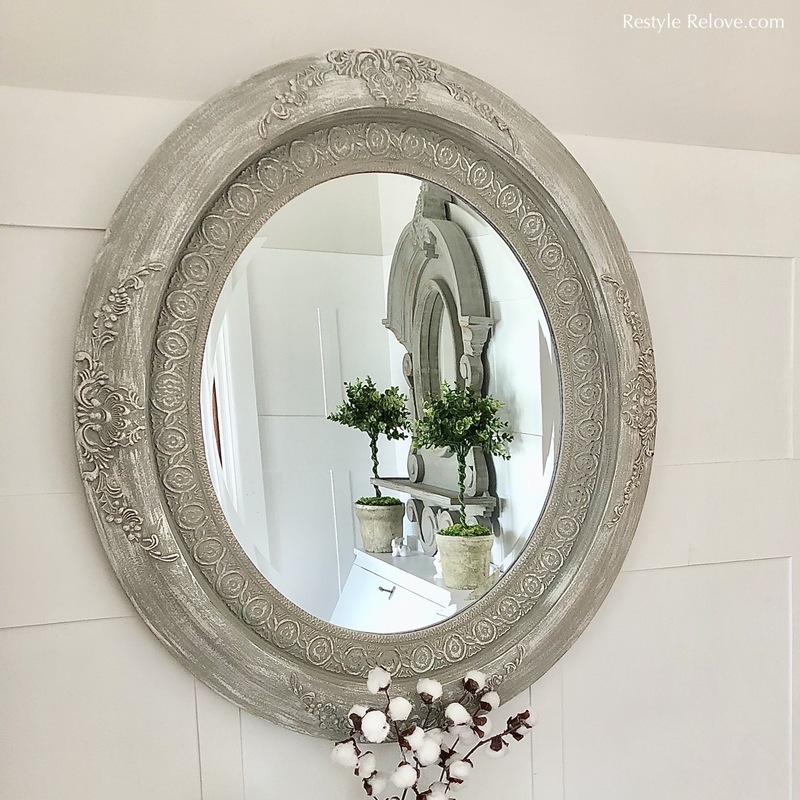 I had been admiring this mirror online for a while, but never saw it in store. Then it came on sale for half price and when my local store had one in stock, well, I like to call it fate. I mean who could resist those intricate details and distressed paintwork. And its a massive 76 x 86 x 5cms! 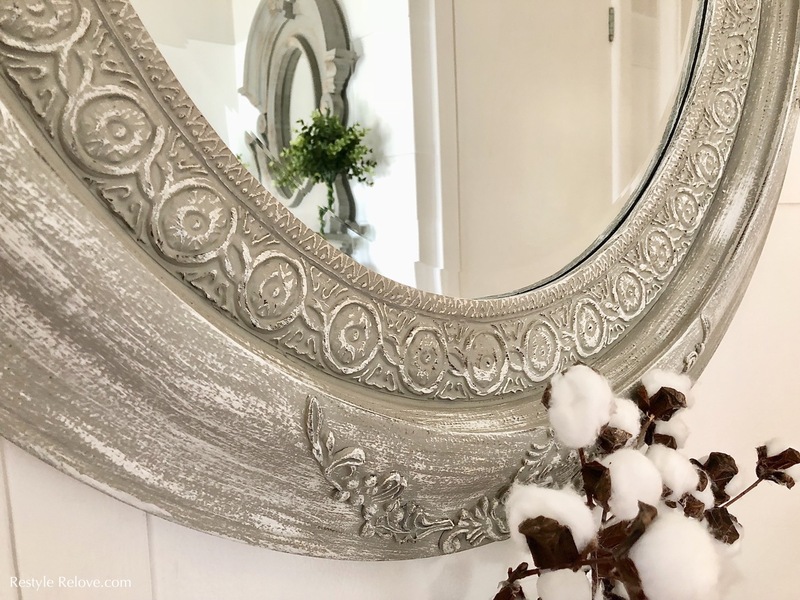 And here is my new mirror alongside a sneak peak of my Easter decor. 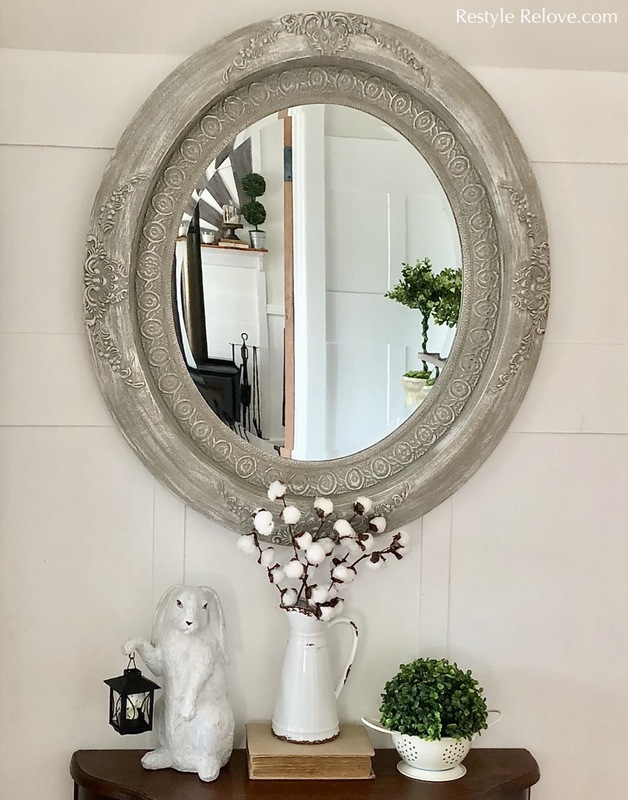 And in the reflection you can see my Parita Mango Wood Mirror, also from Early Settler. Have you got a favourite homewares store? So beautiful Julie. So glad there is a place to comment now on your blog. For awhile I was visiting but there was no way to comment. Not sure if that was on my end. 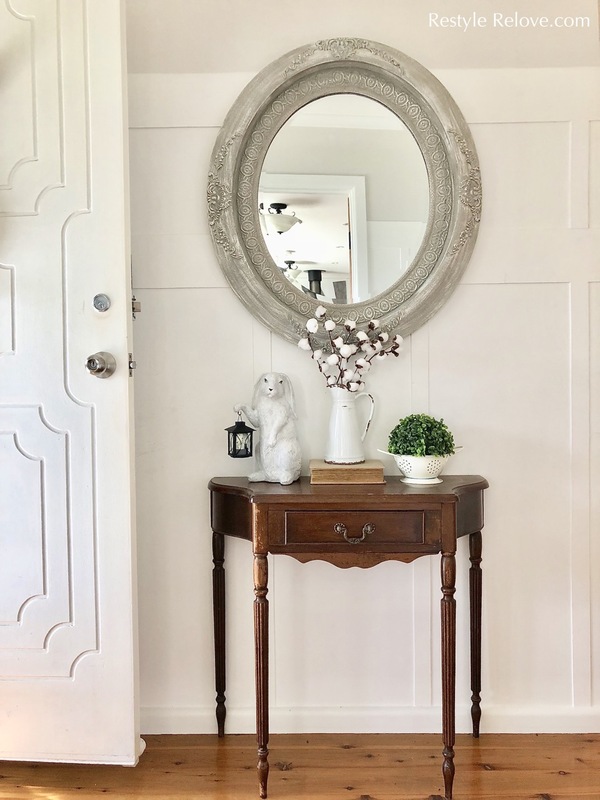 Just happy to be able to say Hi and what a beautiful entry way.